From trainers to tees, we’re recapping the best from the ‘gram this week! With the likes of Nike, Guess and Pink Soda Sport, take a look for allllll the inspo you’ll need to kick-start April in style. Need a wardrobe update? Check it out. Style-goals Sofia is taking it back to the old school in the Guess Icon Bodysuit. Guess is having a MAJOR comeback and you don’t wanna miss out…get the inside scoop here! Mega-babe Michelle is serving up some serrrrrrious looks in this cute Pink Soda Sport set. Be sure to stand out from the crowd when your gym kit is this fierce. Get set to slay and grab your Tape Bra and matching Fitness Tights now! Spotted. Our guy Regan’s wearing the comeback brand…you Guessed it! The Rainbow Crew Sweatshirt is perfect for summer with track pants, shorts or denim. Cop yours quick! 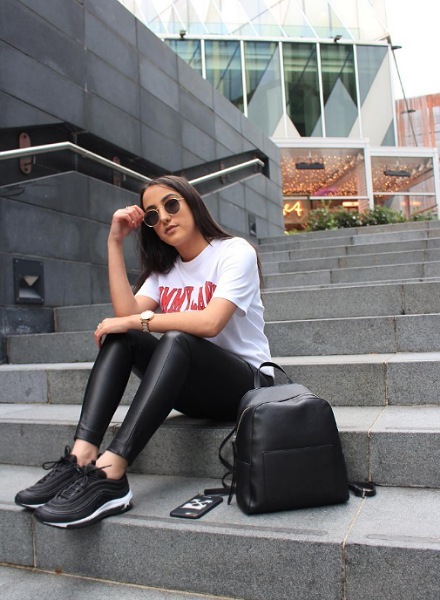 Cutie Kiran is giving us all the feels in the always-on-trend Nike Air Max 97. 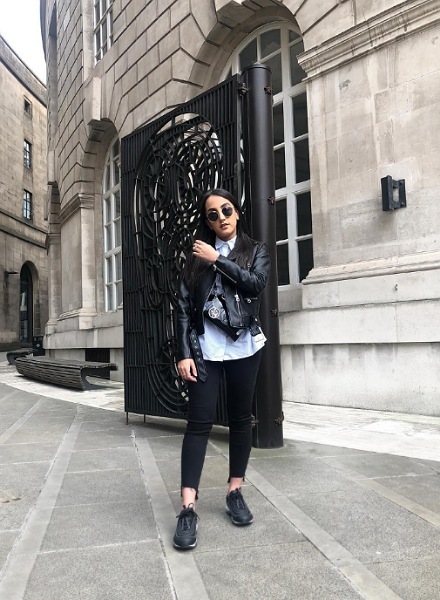 These wardrobe essentials can be worn how you like, but we are lovin’ the casj vibe our girl Kiran is working. Shop the black colourway here. Cracking Easter Cuts for the Kids!